An election will be held in Greece on June 17 2012 because the election last month led to no clear majority. The stumbling block was whether Greece should continue to stay with the Euro and all the austerity and pain that entails. The far left leader Alexis Tsipras, who wants out of the Euro, has gained in popularity since the May election which has sent world financial markets in a spin this last week. The fate of the Euro Zone and in fact the global economy depends on the result of the June 17 Greek elections. When the financial meltdown in Greece began in April 2010, there was a solar eclipse at 25 Capricorn, and a new Moon at 24 Aries. This critically aspect Chiron opposite Uranus in the Greek horoscope. For the June 2012 election, Saturn at 23 Libra is on the Greek Uranus, it’s reaping time for what was sown in 2010. Chiron opposite Uranus is a generational aspect, it lasted 40 years from 1950 to 1990. In the case of Greece, Uranus is conjunct the forward thinking, path leader star Arcturus. Chiron is conjunct the fixed star Kurda, the ancient past. In a way, Greece, the founder of democracy, represents this Chiron opposite Uranus generation, at a critical turning point, rebelling at the painful conditions brought about by our past, searching for a way out, a new way forward. This is not just about the state of democracy in the world, now run by the Chiron opposite Uranus generation, it is about money. World leaders, especially in the Euro zone are crapping their pants at the prospect of Greece going it alone. Reverting back to their own currency has benefits for Greece, a devalued drachma will increase exports and tourism, creating jobs and giving some hope for Greek citizens. It would also spell the end of German hopes for an economically strong Europa. When the Greek financial crisis began back in 2010, transiting Pluto was opposite the Greek Venus (money) and square the Greek Moon Pluto conjunction. The Moon is the public, and with Pluto they felt is hard, extreme change. Now Pluto is opposite the Greek Mercury Saturn conjunction, hard decision, austerity, depression. Greece Democracy Horoscope: “the key moment, 4:00 am on 24 July 1974, when Constantine Karamanlis was sworn in as prime minister” The Book of World Horoscopes, Nicholas Campion, p.147. On the eve of the bailout referendum, the Greek finance minister Yanis Varoufakis siad: Europe ‘terrorising’ Greece, cannot afford to let it leave euro [ABC News Australia]. Looking at the transits to the Greece Democracy horoscope it is easy to see why. The April 2015 lunar eclipse at 14°24′ Libra is square the Greece Ascendant. That lunar eclipse was on Algorab, the Star of Terrorism. Transiting Pluto at 14°14′ Capricorn is conjunct the Greece Descendant and square the lunar eclipse degree. This also explains why the Greek president has told his citizens that Europe is threatening, intimidating and using underhand tactics against Greece. The Descendant in a nations horoscope represents enemies of the state, in this case Europe, specifically Germany. Not so long ago Germany received much more financial assistance from previous enemies to help rebuild after a crisis. The Greek public, shown by the Moon in the Greek horoscope, naturally feel victimized with Moon conjunct Pluto. This is currently reinforced with the lunar North Node conjunct Moon Pluto. In an indicator of this vote marking a positive turning point for Greece, the transiting Ascendant is sextile the Greek Moon Pluto. An even stronger indicator of a positive turning point is the March 2015 solar eclipse at 29°27′ Pisces trine both the Greek Sun and Vertex Point. This transiting grand trine suggests that Greece is turning toward a more positive destiny in this current eclipse cycle. Transiting Vertex conjunct North Node affirms a positive destiny ahead. Saturn retrograde conjunct the Vertex Point adds to the seriousness of this critical turning point in the future of Greece. Transiting Saturn square Mars explains the anger and frustration boiling over to some violence. The economic arguments are too difficult to fathom, but the astrology does indicate a positive result from this referendum. Whether that is a yes or no vote it is difficult to say. I do however, predict a no vote given the tendency of negativity in the Greece horoscope. Mercury conjunct Saturn rising surely gives a negative flavor to the countries thinking. The July 1 full moon at 9°55′ Capricorn on the Descendant is opposite this Mercury Saturn alignment, but also trine the Part of Fortune. This suggests a negative decision, but with a fortunate outcome. Transiting Neptune is trine the Greek Mercury Saturn and sextile Part of Fortune. This is also an indicator of a negative decision resulting in a positive outcome. Alexis Tsipras certainly chose the perfect day to highlight this negative thinking with transiting Sun at 12°53′ Cancer, bang on the Greek Ascendant when the polls open. The heightening tension at the moment is from the Sun opposite Pluto directly impacting on this horizontal axis in the Greece horoscope. Some indicators of positive change are the June 2015 new moon at 25°07′ Gemini trine the Greek Uranus. Then there is transiting Venus sextile Uranus and transiting Mercury trine Uranus. This beneficial setup for financial decisions comes from Mercury sextile Venus today. Transiting Midheaven opposite Uranus suggests deeply rooted urges for change based on historical events. In summary, the astrology points to a critical turning point for Greece. Eclipses, the Sun opposite Pluto, and Mercury sextile Venus, all trigger major alignments in the Greece horoscope. Negative sentiment leading to a positive result suggests a no vote and a brighter future for Greece and her lovely people. 1.) Mr. Tsiparas, like most Greeks, wants to remain in the Euro/eurozone. He also says that there should be no cuts in salaries/benefits, etc. 2.) He has promised to “tear up” the austerity/fiscal pact agreed with the EU & IMF by the Greek leaders who have governed these last few months (and who were imposed on and installed in Greece by the EU, principally Germany, without benefit of elections by the Greek people — a silent coup). Indeed, this austerity-only agreement has brought terrible hardship to the Greek people, and was entered into in desperation only in order to secure another tranche (slice) of EU loan money for Greece to keep it afloat and out of default. 3.) Mr. Tsiparas seems to think that the EU needs Greece more than Greece needs the EU. Thus, he reasons (hopes? ), that even though he will refuse to abide by the austerity/fiscal pact already agreed upon, the EU will continue to fund Greece, doling out tranche after tranche of new ECB loans to keep the country going. Further, he reasons, the EU will want to keep Greece in the euro because it would be too troublesome/expensive to shove Greece out. A cosmic game of chicken. With all my heart I wish him good fortune in his future negotiations with the EU/IMF/Germany on behalf of his countrymen. I fear, however, that he is in for a rude awakening…. All of this said, the best thing that can happen for the Greek people, in the long run, may be to declare default and get out of the euro system right away. Bring back the Drachma, which will then devalue making Greek goods and services more sought after, thus fostering economic growth. This path will be brutally hard on the Greek people who, it is estimated, could lose as much as 50% of their net worth. However, it is a path that will lead to eventual recovery and growth. If Greece remains in the euro, which they cannot devalue, there is no path to economic growth open to them, just more of the current death-spiral of austerity-only policies and greater and greater debt until no one will loan them money any longer. Then….. So, let’s pray that Mr. Tsiparas sees the light and has the courage to lead Greece up and out of this nightmare. What specific transits are you seeing that makes you feel confident Tsipras will win the election? I am confused, how can there be comments here from may 2010 and 2011 when the article was written in may 2012? LOL. 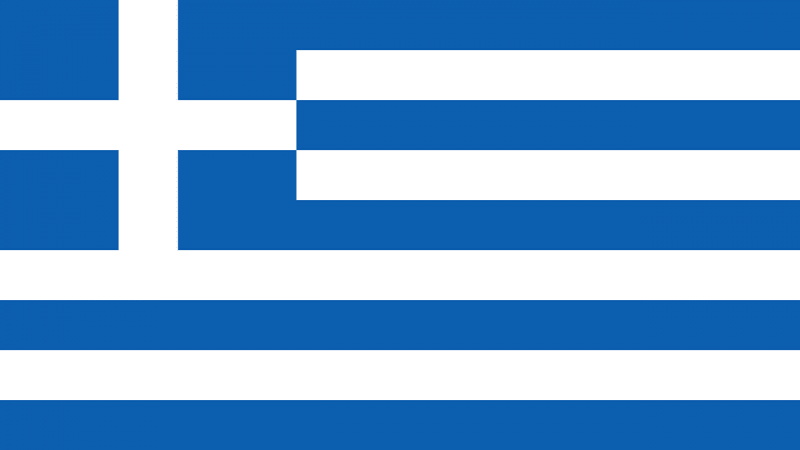 I am wishing the best outcome for the Greeks. Hi Susie. Jamie originally wrote it back in 2010 and has since updated it. I agree the chart should be when the Greece was recognized as a country. January 13 1822, this is the chart I go by which I find more accurate of current events. Current events continually show critical conjunctions to the democracy horoscope. Did any other astrologers predict the right result using another Greece horoscope? Tsipras is NOT far left, just a liiitle bit on the left of centre-left and has moved more to the centre since 2012. He was also against leaving the euro-like the majority of greeks (left or right wing). Parties against the euro did not even make it in the parliament then except the traditional communist party of Greece (KKE which did fell from a 2 decades solid 8% to 4%). You are just following the official propaganda here, Greek, European and worldwide. Detrimental Jupiter in Gemini, maybe? Pisces sun is rising I’m off to my beatiful greek garden to weed and prepare for the spring seeding. OMG I’m planting on the days of the Grand Cross!! No. Following the facts and the astrology. Could you please give an update, given the “NO” verdict was turned overnight to “YES” by the left-wing Greek PM himself? Maybe I will update before the election. I can’t just have a quick look with mundane astrology.